Lee D. Gwin, 67, of Perrysburg, passed away peacefully at Hospice of Northwest Ohio on Friday, March 9, 2018 surrounded by his loving family. He was born in Toledo, OH to Donald and Delores (Draheim) Gwin on September 1, 1950. Lee is a graduate of Maumee High School and attended Bowling Green State University. He married Barbara J. Nichols on September 19, 1993 in Toledo. He worked for the window manufacturer, Winterseal, more recently known as Comfortline. 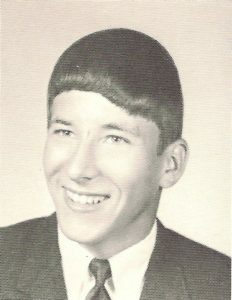 Lee was a member of the Maumee Elks Club and loved to golf. He also enjoyed bowling, renovating his house, and working on his beautiful landscape. Lee enjoyed owning a Harley Davidson but later traded it for a boat that he used at his lake house in Kentucky. He would take his grandchildren tubing from the boat and loved spending time with his family. Lee is survived by his wife, Barbara; sons, Joshua (Carrie Sallows) Gwin, Nicholas Gwin, Adam Gwin; stepsons, Rodney (Monica) Mckenzie, Scott (Amy) Mckenzie; grandchildren, Kaigan Gwin, Ilah Gwin, Brittnee (Carlos) Dominquez, Lindsee (Tyler Piercefield) Mckenzie, Rayce Mckenzie; and four great-grandchildren. He was preceded in death by his parents.